The "Director" controls Ms. B’s life. He flatters her, beguiles her, derides her. His instructions pervade each aspect of her life, including her analytic sessions, during which he suggests promiscuous and dangerous things for Ms. B to say and do, when he suspects that her isolated state is being changed by the therapy. The "Director" is a diabolical foreign body installed in the mind who purports to protect but who keeps Ms. B feeling profoundly ill and alone. The story of Ms. B’s analysis is one of many vivid illustrations presented in this collection of papers by Paul Williams, who shares his lifetime of experience working with severely disturbed patients. As the title suggests, the unifying thread of these papers is the investigation of serious mental disturbance, often characterized by the presence of intrusive and invasive thoughts and fantasies that originate in a traumatic past but which can colonize and destroy the rational mind. The diverse papers are grouped into two related sections. Part one is comprised of papers with a clinical orientation, including a summary of the analysis of Ms. B as well as a speculative paper on the psychosis and recovery of John Nash. 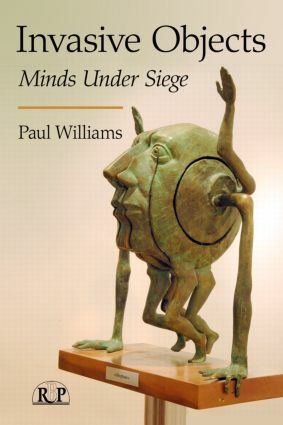 In part two, applied psychoanalytic thinking is integrated with Williams’ other professional passion, anthropology, in a paper that exemplifies generative thought through art, poetry, and tribal masks. Other papers in this section include a short essay that takes Freud-bashers to task, a reappraisal of the Rat Man, and a lively discussion of André Green’s "central phobic position" in borderline thinking. Whether engaging in the coconstructed therapeutic relationship or the implications for "madness in society" at large, Williams’ diverse influences – psychoanalytic and otherwise – repeatedly come to the fore in an intellectually stimulating and clinically enriching way. It goes without saying that work with patients whose thinking is psychotic is a challenge, as these papers clearly demonstrate, but Williams reminds us that it is a challenge that psychoanalysis can not only engage but also treat with enduring and impressive therapeutic results.